FREESCOOT opened in 1997 and was one of the first Vespa rental shops in Paris. 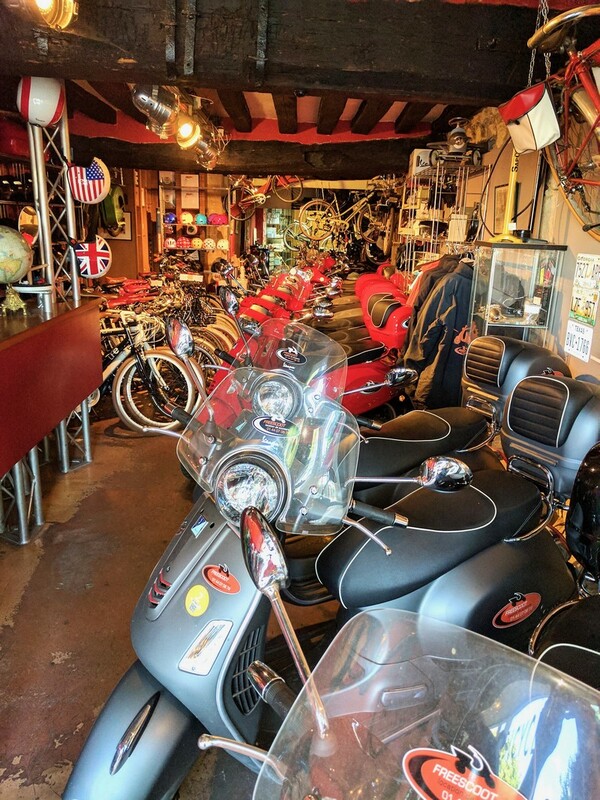 Extremely knowledgeable and passionate about his business, founder and owner Stéphane will help you select the best bike or scooter to ensure that your ride through Paris will be memorable. Our shop is located in a neighborhood that is both trendy and picturesque, ideally situated on the quai de Seine across from Notre-Dame cathedral. It’s a magical spot and a perfect departure point for excursions around Paris. Our friendly staff will help you choose the right bike from high quality equipment that is not readily found in other rental shops. Stéphane speaks English and welcomes foreign visitors every day. We are always attentive to our clients’ requests and concerned about their comfort and safety. FREESCOOT stocks mainly European brands that are known for their reliability and performance. We repair and maintain cycles in our in-house workshop. See you soon at FREESCOOT !